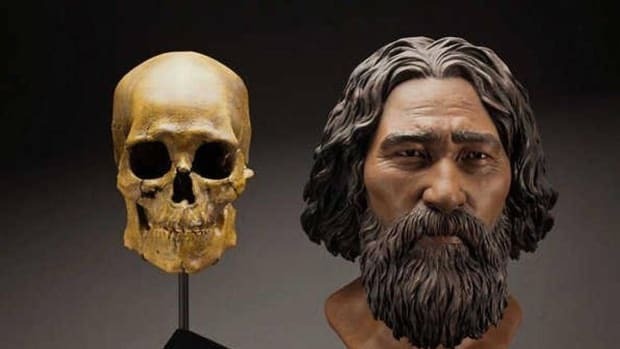 A new genetic study links Native Americans from both North and South America to the Clovis culture, which flourished in North America around 13,000 years ago. 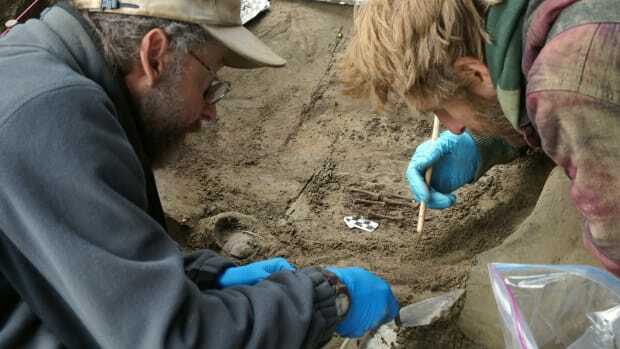 Construction crews first discovered the ancient remains of an infant in 1968 on private property owned by the Anzick family in western Montana. Dubbed Anzick-1, the one-year-old boy is the only human skeleton that has been identified as a member of the widespread, sophisticated Ice-Age culture known as Clovis. Now, a team of scientists has succeeded in mapping the infant’s DNA, in the oldest genome sequence of an American individual ever performed. 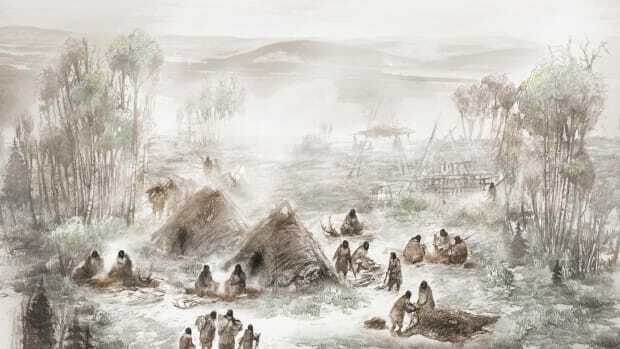 According to their findings, published this week in the journal Nature, the Clovis people are direct ancestors of many Native Americans now living in North America, and can be linked to many native peoples in Central and South American as well. Up to this point, all scientists studying the Clovis culture had to go on were the stone and bone tools that have been found at sites ranging from Washington State to Florida, along with many states in between. 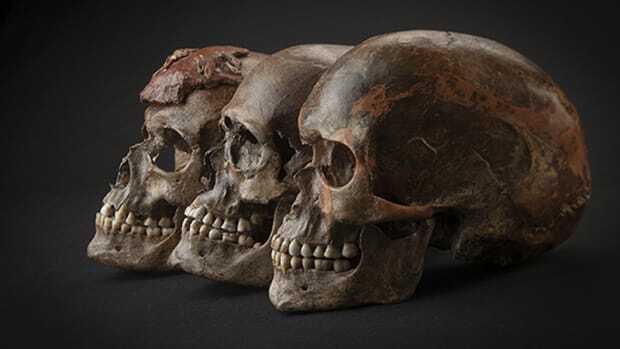 By sequencing the genome of the infant recovered at the Anzick site, the international team of researchers gained the most vivid insight yet about who these people might actually have been. 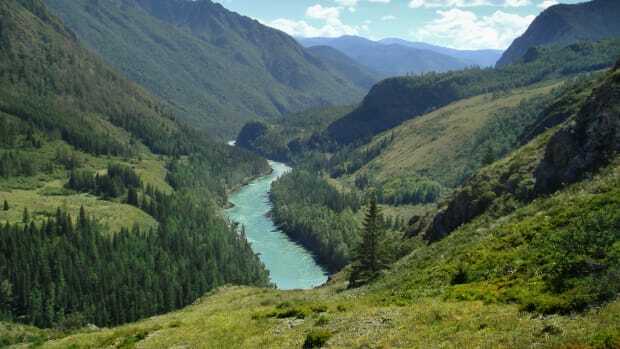 They compared the DNA of the Clovis infant to several different genomes, including a 24,000-year-old sample from a young man buried on the banks of Lake Baikal in Siberia, a 7,000-year-old sample from Spain and a 4,000-year-old sample from Greenland. The Clovis DNA showed the most similarity with that of the Siberian youth, whom scientists genetically linked with today’s Native Americans late last year. Such evidence casts doubt on other theories arguing that Clovis’ ancestors came from Europe, rather than Asia. 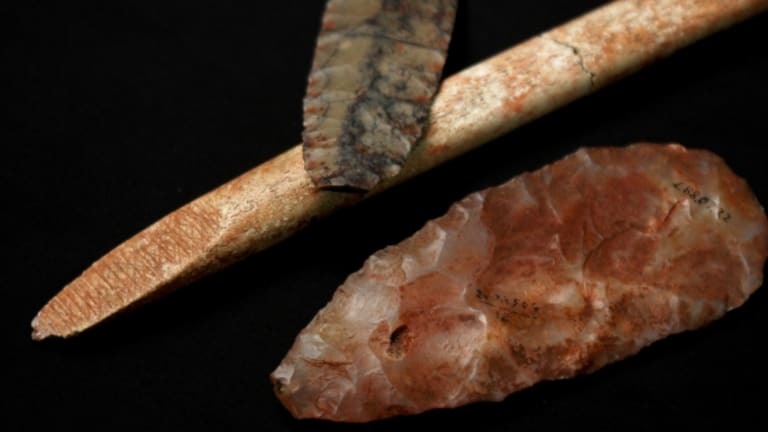 Such hypotheses rely partially on the fact that the “Clovis points” found on their tools and weapons are so similar to the flint tools used by the Solutrean culture, which flourished in Spain and France during the Ice Age. While Anzick-1 showed the most genetic similarities with Native Americans in North America, the study also revealed ties with the indigenous peoples of Central and South America. The team’s data indicates that sometime between 13,000 and 24,000 years ago, the same ancient people that arrived from Asia split into two lineages: One gave rise to Clovis and today’s Native Americans of North America, and the other became the ancestors of Central and South American tribes.